All About Me Problem Solving: Back to School Math Start the school year by learning about each other while problem solving. Use this as a cooperative learning activity and/or a pre-assessment for problem solving skills, measurement conversions, and some fraction skills. 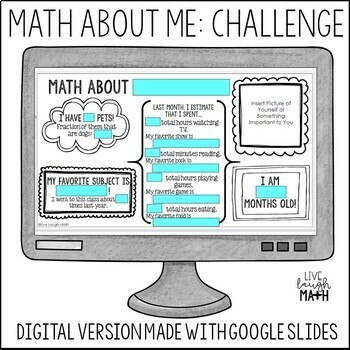 There are three different versions you can use to differentiate for your students. 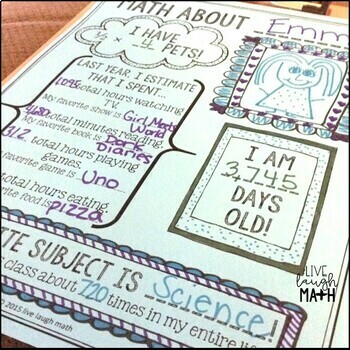 Based on the version you choose, students will determine things like how many months, days, or seconds old they are, as well as how many hours they have watched television last month, last year, or their entire lives (and also share things like their favorite TV show). 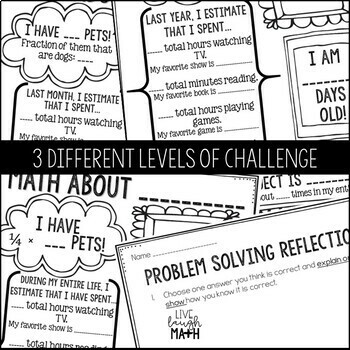 Great for gifted learners and problem solvers of all levels! A problem-solving reflection and ideas for use page are also included. 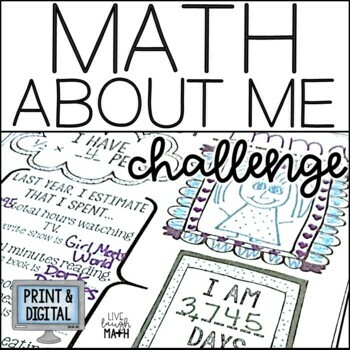 Save 25% by buying this in the Back to School Math Resources Bundle.